Check out this cat eye sunglasses from Opium if you are planning to upgrade your accessory collection. 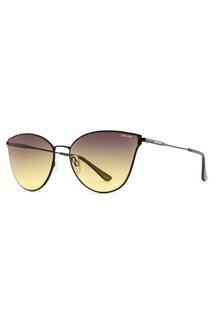 It features a full rim frame, which comes in cat eye shape, making it highly appealing. In addition, its polycarbonate lenses promise to provide you with optimum visual clarity. Moreover, the bridge will make it pretty comfortable to wear.